BRITAIN’S biggest pensioners’ organisation released symbolic black balloons outside Parliament yesterday representing the tens of thousands of elderly people who die in Britain each winter because they cannot keep warm. It is with great sadness that we have to tell you one of our co-founders, Debbie Jolly has died following a short hospital stay. As disabled people everywhere we’ve lost a friend and advocate and a fighter for our movement. Debbie has played a hugely influential part in the development of DPAC since 2010 and she and I have worked together virtually every day since dealing with the day-to-day things that needed to be done to make DPAC the successful campaign group we have become. The House of Lords has been unable to stop a planned £30-a-week cut to disability benefits forced through by Government MPs. This will cripple those in receipt of these benefits, leaving many in literal poverty. The government must reverse this decision. Lives are at risk. 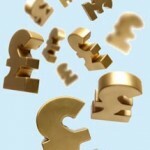 Precedent-setting Benefit Cap legal challenge! This case against the Department for Work & Pensions (DWP) focuses on the discriminatory impact of the Benefit Cap on disabled people and their carers, who lose Carers Allowance, punishing them & their loved ones. Supported by Disabled People Against Cuts, Single Mothers’ Self-Defence, Global Women’s Strike, Taxpayers Against Poverty, WinVisible (women with disabilities), and many more. From time to time, every carer needs support to help them look after the person they are caring for. Sometimes that will mean getting equipment installed in their home so that they can meet the needs of the person they support. Other times it might mean calling in home help so that they can keep up with their housework. The importance of these services cannot be overstated. They mean that carers can provide the best support possible to their friend or family member whilst maintaining their own health. legislative change that could be about to happen this Wednesday (24th June) in the Scottish Parliament. We want to take people with Autistic Spectrum Disorders and Learning Disabilities out of the provisions of the Mental Health Act, which gives psychiatrists the power to `treat` people with ASD, just for autistic behaviours. Would you be able to help us out? Non-attendance (see below) recently by the purveyors of welfare reform suggests that they deem themselves to be unaccountable for their actions. Britain asks: where is David Cameron? Many disabled people and carers will be watching this show. They have borne the brunt of these cuts and are living in dread of the prospect of the further £12billion cuts to welfare promised by the Conservatives.